Judging by its popularity as a fragrance in everything from body care to candles and air fresheners, vanilla has that secret something that draws us in. 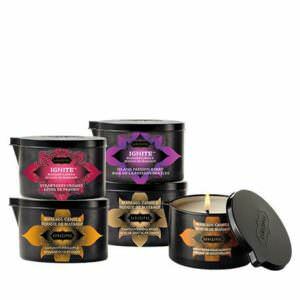 Delight your senses with kissable, whipped Kama Sutra Body Soufflé-French Vanilla Crème. The light, fluffy texture and sweet, creamy flavor makes this body treat ideal for sensual massage as well as a daily moisturizer. Use your fingertips to scoop a generous amount of body soufflé into your palms and massage the cream onto your partner’s body with slow, even strokes. Reapply as often as desired. 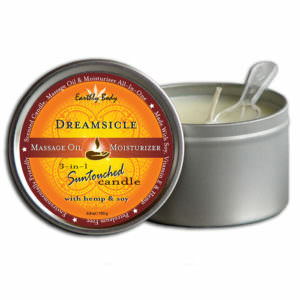 Smooth generously onto the body to leave skin soft, moisturized as well as smelling (and tasting!) decadently sweet. Ingredients: Water (Aqua/Eau), Ethylhexyl Paltitate, Cetyl Alcohol, Glyceryl Stearate, Caprylic/Capric Triglyceride, Glycerin, Dimethicone, Cetearyl Alcohol, Flavor (Aroma), Polyacrylamide, C13-14 Isoparrafin, Laureth-7, PEG-100 Stearate, Carbomer, Sodium Saccharin, Sodium Hydroxide, Potassium Sorbate, Tetrasodium EDTA, Phenoxyethanol, Benzyl Alcohol.